We've spent countless days in the saddle, winding over trails, dirt roads, cow paths, highways, all around the world. We've spent countless nights under the stars, and countless hours pushing through sun, rain, snow, wind. 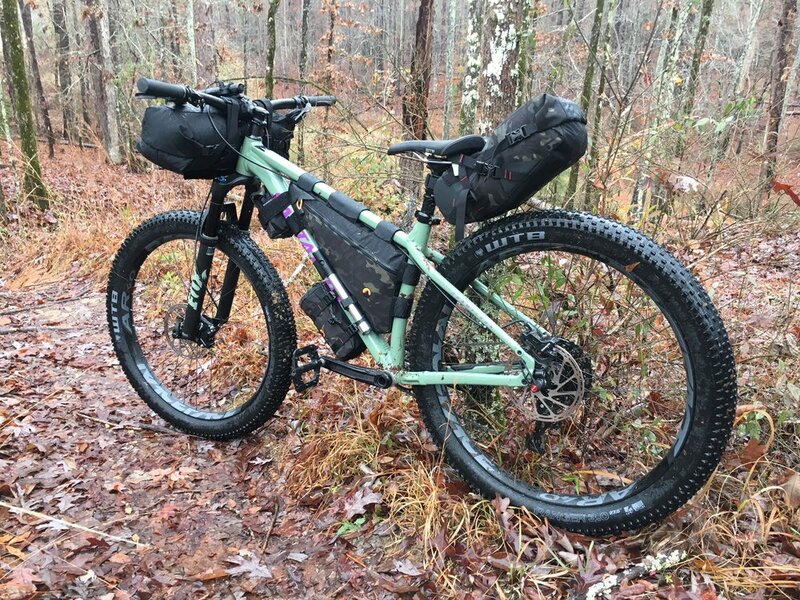 We've spent years bikepacking, riding bikes, living outside. And what better way to learn what works and what doesn't, what we need and what we don't? If experience is the best teacher - and we believe it is - we ended up getting those post-graduate degrees, after all. But don't take our word for it. We'll let our customers do the talking. "I'll 100% be recommending you guys to my friends!!" -Matt H.
-Full custom kit on 2016 NAHBS Best of Show award winning bike - this was cited by a judge as one reason Todd Ingermanson's Black Cat, built for Bedrock co-owner Joey Ernst, was chosen. -Bedrock gear on 2014, 2015, 2016 Colorado Trail Race-winning bikes; new records set in 2015 & 2016! -We’ve partnered with Durango builder Eric Tomczak at Myth Cycles. Eric builds some very nice steel frames, TIG-welding full- and semi-custom frames one by one just minutes from our own production shop. If you need bags to go with your new Myth, Eric will happily get you some custom-Myth-branded Bedrock gear on order! For more info on this partnership, click here.